Pet Urine Odor Home Inspections and Removal for Carpets, Walls and Subfloors by GCD Restoration Is a Smart and Affordable Way to Refresh Your Home and Leave It Free from Contaminants! 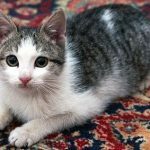 No matter how much you love your four-legged friends, you should not allow them to damage and “deodorize’ the carpeted areas inside your home with their urine! Urine moisture can be stuck in your home for quite a while if you don’t use expert cleaning help immediately after stain has appeared accidentally. Professional pet odor and urine removal is a must for those of you who want to live healthy breathing non-contaminated air! Where Does Pet Urine Smell Come From? What actually smells in pet urine is the bacteria it carries. As the urine is decomposed by this bacteria many chemicals form and pollute your indoor air. Urine, that is not instantly cleaned after your pet has made the mess, can mix with your carpet fibers to create a harmful substance that can stain your carpets and provoke strong unpleasant odors. If this substance gets in contact with an open wound, it can cause an infection. Other health issues that may appear are respiratory malfunctions and allergies, caused by air contamination. Why Choosing the Cleaning Technicians of GCD Restoration? 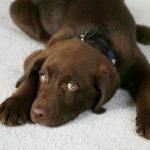 Our cleaning experts use only advanced organic pet stain removers which can completely eliminate pet stains without harming your valuable carpets and furnishings, and without contaminating your interior with chemicals. Our green cleaning products which are safe to use around your furry friends contain enzymes which can break down and eliminate any source of pet odor. We serve the entire San Francisco and Bay Area 24 hours a day, 7 days a week. The moisture and odor extraction tools and equipment that we use are powerful and effective which makes our work faster. We apply stain blocking primers and sealers to create a moisture and odor barrier if there is another pet accident. If your sub-floors are also infected and need to be sealed, our experts will provide you with some hints on how to do this, as well as how to find a good deal on new carpets to cover your subfloor with. Save money on carpet replacement by booking the professional guaranteed odor removal services of GCD Restoration. Call us now at (650) 835 4447, and get your free quote!